A companion to the beautiful 2013 book Wonder, 365 days of Wonder is a book of quotes and wise words, one for each day of the year. It includes brilliant, funny and insightful quotes from well known authors, singers and even characters, including some form those we met in Wonder itself, along with a bit of additional information from Mr Browne, Auggie’s wonderful fifth grade teacher. I loved the wise words in this book and thought they offered a wonderful insight into life and what we should take from it. As a book full of very short sentences on each pages there’s not a great deal I can say for 365 Days of Wonder but I still enjoyed reading it. This book would make for a great gift at christmas, especially for someone who read and loved Wonder, and that time of year would be perfect to share it with someone, just in time for a new year and a new way of looking at things! I am tempted to come back to 365 Days of Wonder next year and read each precept every day and try and live life by it because of how wonderful they are. I would have trouble picking out my favourite of the quotes in the book, however I absolutely loved one in particular because it represented something I try and live my life by already; ‘Normal is a setting on a washing machine’. This is such an important thing to think about because its a reminder that everyone is different and that we should not judge others for not being ‘normal’ as there isn’t such a thing! I also really loved that a lot of the quotes were sent in by readers of Wonder and RJ Palacio’s website. There were some quotes that I wouldn’t have put in there myself – Harry Styles comes to mind – but I understand why they were there, and there are others I wished were in there but never mind. I still love the idea of 365 Days of Wonder and what it shares with people. Mr Browne’s little bits in between the months were brilliant and I loved being back in the world of Wonder and finding out a little bit about how the kids in Auggie’s class were doing, and Auggie himself of course! If there was one downside to this book though it was that those little bits from Mr Browne were too little, I would have loved for more of them! All in all though, 365 Days of Wonder was indeed Wonderful and I think it would make for a perfect desk calendar – one I need to make for next year perhaps? 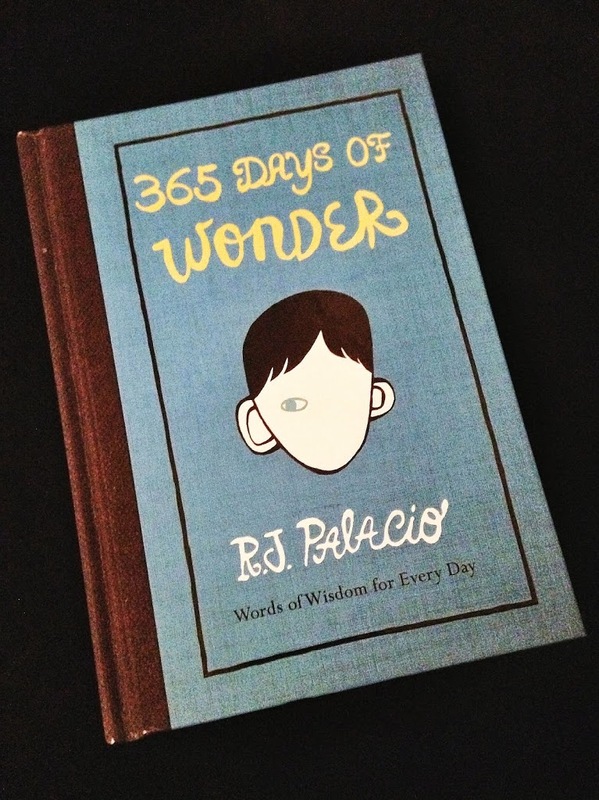 365 Days of Wonder was published by Bodley Head on August 28th. My copy was sent from the publisher in exchange for an honest review.